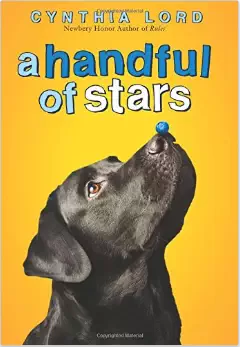 I read A Handful of Stars by Cynthia Lord in one sitting, and another round of thanks to Tara Smith who wrote about this book at her blog, A Teaching Life. (I had my last week's book from Tara, as well.) I am now reading it a second time out loud to my daughter and picking up on details and craft moves that I hadn't noticed when I was whipping through to see what would happen. Cynthia Lord's text structure and plot development is simple, but her messages and the snippets of information she tucks into her words are complex and great opportunities for close reading. Cecily and I had a great discussion about the importance of using the word "that" instead of "the". Not every book is a springboard for that type of discussion. In many ways, Cynthia Lord reminds me of Patricia MacLachlan in the ways that she delves into tough situations for children, and creates meaningful changes that we can all learn from. 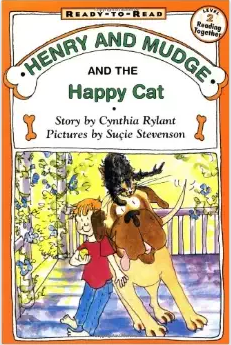 Inspired by Fran McVeigh who wrote about her experiences at Teachers College last week on her blog, Resource-Full, I have been re-reading and re-reading Henry and Mudge and the Happy Cat by Cynthia Rylant. (If you didn't read Fran's posts throughout the week, I highly recommend heading over to her blog with a cup of coffee, as she has shared some amaxing learning.) Really, there are so many craft moves tucked into this small book that can benefit writers across the elementary grades and beyond. As a writer, this book is a seminar for me on the power of threes. Read it and pay attention to how many times Cynthia Rylant uses three in her text. There is also clear and focused plot development, character development, conflict, and closure which again, will help all writers develop their own story arc. I have marked up this book, covering pages with color-coded sticky notes, as described by Fran. In the near future, I will write a detailed blog post about The Unstoppable Writing Teacher by M. Colleen Cruz. I have been reading, re-reading, and marking up this inspiring book. There are parts where I feel like Colleen Cruz is having a conversation with me, and is speaking directly to some of my hopes and dreams, and anguish and concerns about writing instruction. She includes helpful resources throughout the book including letters to families, charts for observations, surveys for students, and lists of mentor texts. (Those are only the tip of the iceberg of resources in this book.) It's easy to read, even though it's packed with information, and the resounding message for me throughout this text? Write. Be a teacher of writing who struggles, understands, and celebrates the process. If you are debating this book in your cart, hit the order button. You'll love it. I just started The Unstoppable Writing Teacher. I'm inspired by Cynthia Lord in every book I read. Julianne is leading a virtual book club about Stars. I hope you'll join us. We should also do one about Unstoppable. So good to see you smiling and joking last night. You're coming back. Love! Cynthia Lord is a treasure! I love her books! 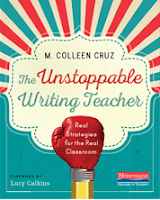 I really want to read The Unstoppable Writing Teacher. Thank you for the thoughts on The Unstoppable Writing Teacher. I am one of those people that is debating the purchase. I will have to go ahead and order it soon! I love Cynthia Lord's books so I am sure I would also love A Handful of Stars. I will be adding this one to the TBR list as well. Have a great reading week! So many times "that" can be perjorative! I hadn't noticed the use of it when I read the book. Interesting observation. "The protestors" and "THOSE protestors" certainly have different rings! Melanie - I am beginning The Unstoppable Writing Teacher today and am so excited! I try so hard in this area but always feel I have so very much to learn! Looking forward to reading it and your future post about it! I love Cynthia Lord. Everything she does is fantastic! 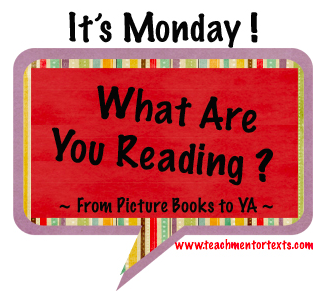 Love your Monday posts so much! I always feel inspired to read every book you write about! Cynthia Rylant is one of my very favorite writers. There is so much incredible writing craft on display in her early reader series. I haven't read this particular Henry & Mudge title but will get it for sure. I haven't read a Henry & Mudge title for a while, Melanie, but this does sound like one to examine closely. A Handful of Stars is certainly on my list, and I've seen The Unstoppable Writing Teacher, might have to get it although I am awash in other PD books I also want to read. Thanks for the reviews, Melanie.